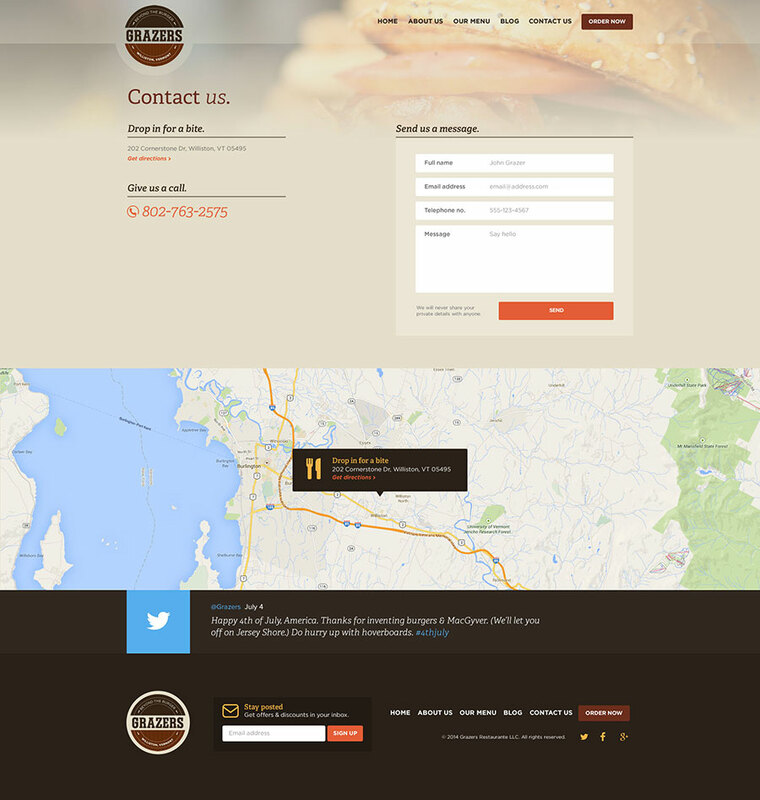 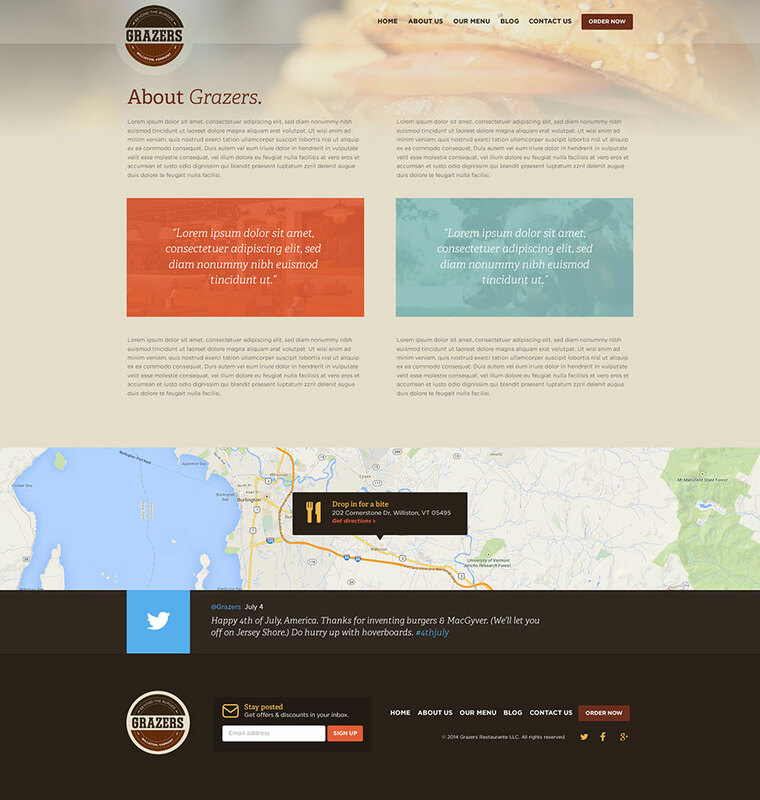 When Grazers announced they were opening a new restaurant in Williston, Vermont they hired us to build the website. 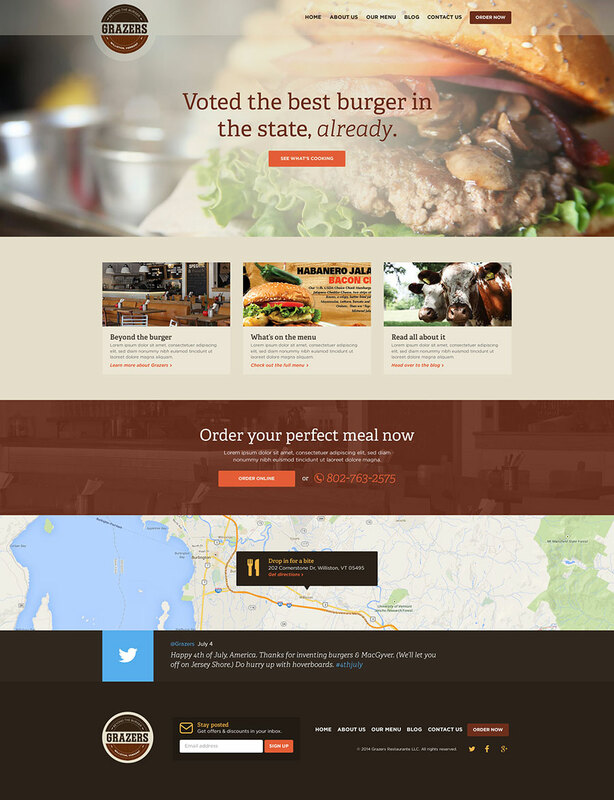 With a focus on showing off their delicious food and making it easy for the customer to browse the menu we went with minimal text on the homepage. 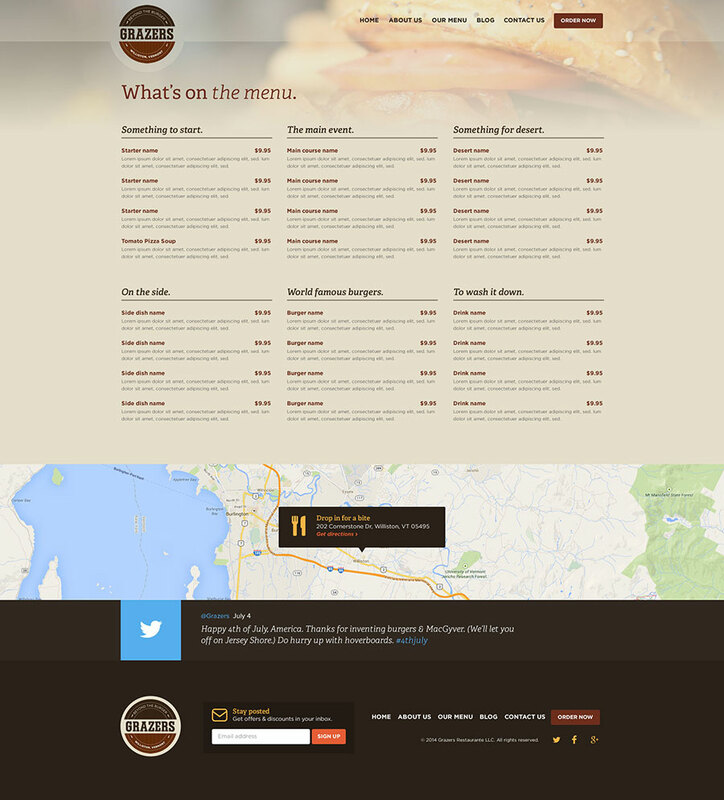 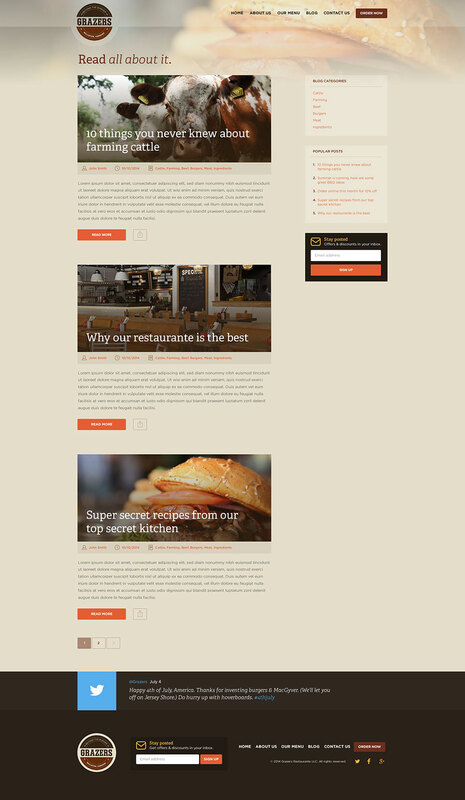 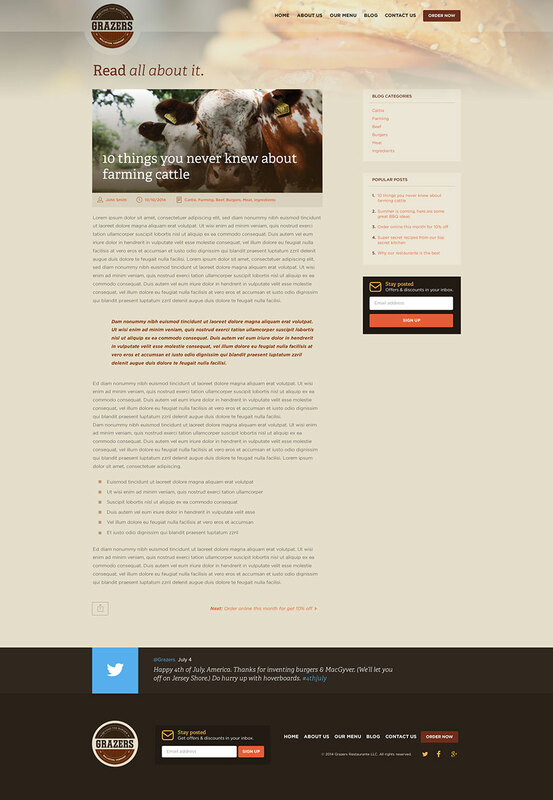 The site is 100% responsive and a custom WordPress theme.